Losing any of your senses is not an exciting realization to encounter and we understand. Whether it’s losing your hearing or vision, it can be rather costly to restore daily functioning of either sense. For hearing loss, the month of May marks a special time of the year as the journey to better hearing is celebrated in Better Hearing Month. Yet, while this is a very worthy celebration, it doesn’t build awareness for one of the biggest reasons more individuals choose not to address their hearing loss symptoms in a timely fashion. This reason is the embarrassment or shame associated with not having ‘normal’ hearing often felt by millions of Americans – nearly 40 million – who report hearing loss difficulties but have not actively sought a solution. In fact, one of the most powerful statistics from the Better Hearing Institute is that 65% of those under 65 years old are encountering some degree of hearing loss. As you can see from these astonishing statistics, there is nothing abnormal about having hearing loss in our lives. At NuEar, the objective of our nation-wide network of hearing professionals is to help remove this stigma around hearing loss that is preventing so many from accepting the condition and taking simple actions to seek a solution. For those who had a hearing screening or evaluation and were told their results fall below the range of normal hearing, we want to help present that information to you in a more positive light. Rather than implying your hearing loss symptoms may make you not ‘normal’, we recognize that everyone is susceptible to hearing loss and the good news is there are many easy-to-use solutions available. In fact, the majority of those who have opted for a solution in NuEar hearing aid technology have been delighted by not only the help in gaining better hearing, but also with how it has help make other technology, i.e. iPhone, more exciting with wireless streaming capabilities. See more on this technology here. Satisfaction evidence in hearing aid technology can be found all over the internet and social media. Many unsolicited patient testimonials can be found on our Facebook page as well as the social media and website content of our partnering hearing care providers. 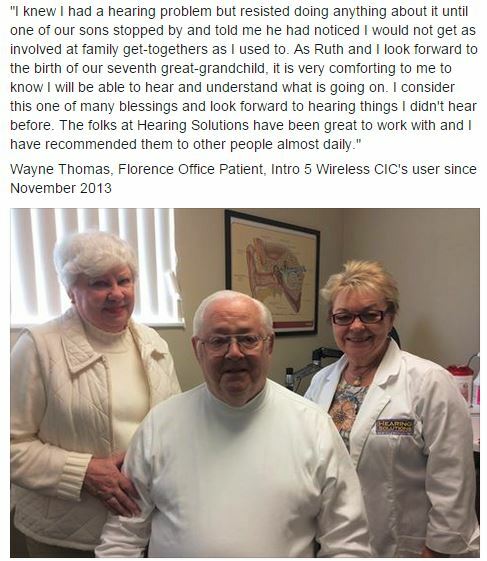 One great example comes from a gentleman cared for by our Milford,OH area partners, Hearing Solutions, who finally accepted his hearing loss after many years and chose to get hearing aid technology to help him hear more in conversations with his grandchild. You can read his story to the right. Like many others from this practice, Hearing Solutions has helped convey that hearing loss is normal and simple to treat with hearing technology, just as anyone would readily do for vision loss with contacts, glasses or even Lasik procedures. If you or someone you know is dealing with any difficulties due to hearing loss, don’t delay taking action any longer. 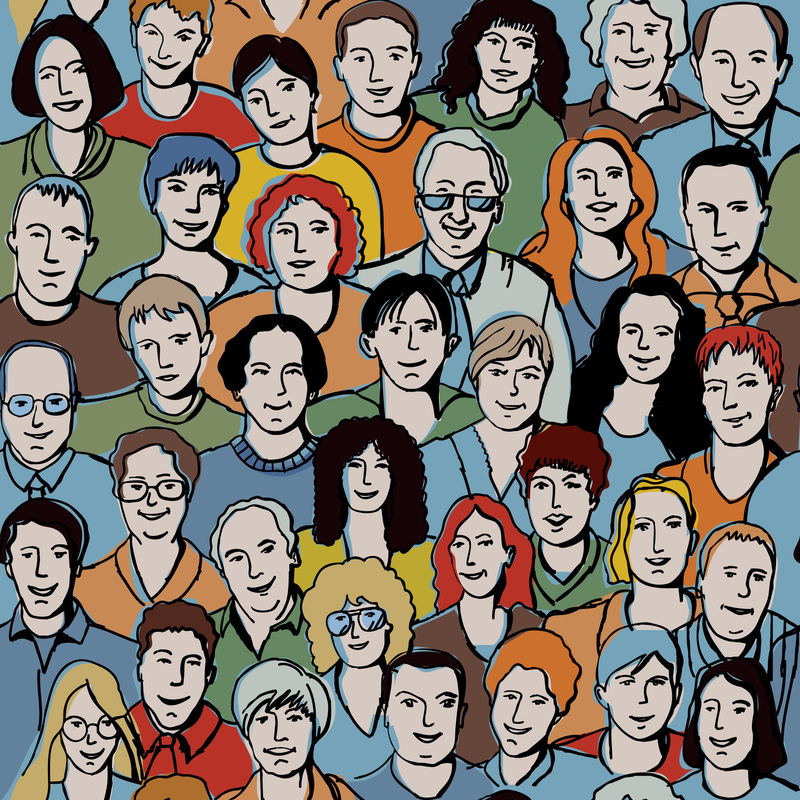 In our aim to debunk the concept that losing your hearing is not ‘normal, we want to convey confidence in those with hearing loss that they are part of the majority and are experience a very common condition. Like any change in our lives, accepting the situation is the biggest hurdle. Hearing loss is no different but the great news is that you are not alone and there are many dedicated NuEar network hearing professionals ready to help with a free consultation. Simply enter your zip code in our professional locator to find the nearest provider to you to get started.